What’s your travel style? 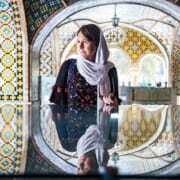 Are you into group tours or solo travel to Iran? Are you going to hit the road to Iran? No one is going to join you? Will you travel alone to Iran? 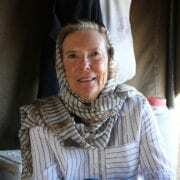 Or, will you join an unforgettable Iran tour of a lifetime? Now is the time to compare a group tour to Iran with solo travel! Which one is your style? To put it briefly, a group tour is not a walking tour around Isfahan, or a half-day experiencing the nomadic life with a small group. 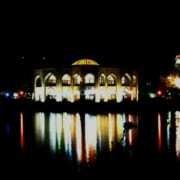 The word “tour” refers to a multi-day group tour. It encompasses activities like hiking, sailing, sightseeing etc. that last for several days. 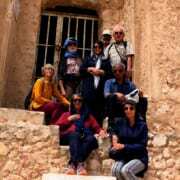 Multi-day tours are not limited to 45-seater buses moving through Iran- though it is a perfect way of traveling when you are short of time and want to meet a group of new friends. It depends on what travel style suits you and your budget. Who can go on a group tour? All types of travelers can join a group tour, since there is an experience or travel style for everyone- you should just check the available options to find what works for you. Moreover, you should decide what you want to attain out of the experience and how you want to attain it. If you are looking for an open-dated trip, or want to travel on a journey to “who knows where”, then a group tour cannot be an option for you. However, if you are ready to meet new people and benefit from the knowledge and expertise of a local guide and forget the hassle of organizing your transport from this terminal to that one, then you should take a group tour. What to budget for an Iran group tour? At first glance, it might hurt to book a tour upfront and it may feel more expensive than travelling solo. However, booking a group tour before travelling has the advantage of having accommodation, food, transportation and experiences all paid in advance; as a result you can set your budget focused on spending money as the basics are already paid for. 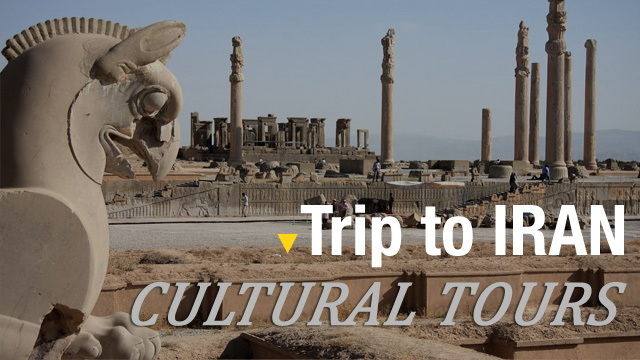 The most important thing about booking an Iran group tour is that the rate of the included activities and optional extras are usually less expensive when they are booked through a tour operator. It is because they can negotiate for lower rates in advance and it is not something a traveler can benefit from while traveling alone. Regarding your actual budget during your tour, you should focus on planning for the restaurants you want to go to, the museums and historic sites or castles you want to visit. 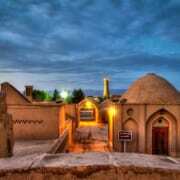 In Iran, travelling costs are considerably lower than that of European countries. Depending on the tour you book, your daily budget varies between 20.00 and 40.00 EUR per day. If you are a shopaholic, this amount should be doubled, tripled or quadrupled. However, knowing about your spending habits, you are the best to decide how much you will need every day! Where to visit on a group tour to Iran? Some countries are called “hard to travel solo” as travelling to these countries without the help of a local expert or joining a group tour might cause you more problems than anticipated. Tanzania, Egypt, Morocco, Bhutan, Djibouti, Russia, Turkmenistan or Iran are a few of these countries where travelling through a travel agency or tour operator are your best options. This isn’t to say you can’t travel to these places unassisted, but to save the stress of planning and other travel troubles, a tour might just be your best bet. Our recommendation to you is to pack as little as possible! Start packing sooner rather than later as some last minute supplies might be harder to find than others! Who should travel solo to Iran? Everyone should travel solo at least once in their life whether for a short trip or a journey of a year! It gives you the chance to learn, no matter how old you are. One of the biggest advantages of travelling solo is to boost your confidence. When you get back home, you realize how incredible what you just did really is. What type of traveler can go solo? Those who are ready to experience a new adventure with no support of their family might do a solo adventure. Just make sure to be prepared to be uncomfortable, to get lost, and to learn how to be comfortable with your own company. The best thing about travelling solo is to realize you are able to do things on your one that you never thought you could do. You overcome situations you may have never thought you would be in – like having to eat at a restaurant alone. What to budget for a solo adventure to Iran? A word of caution to solo travelers; expect the unexpected! Throughout your trip, there will always be unexpected costs that appear from the middle of nowhere. These costs include high-priced train tickets or flights, expensive museum entrance fees, or taxes at some hotels and airports when you want to leave a country. It does not mean that those traveling in groups do not face such situations, but being a solo traveler you must be ready to deal with such problems on your own. Where to visit on a solo adventure? As a solo traveler you can go anywhere (the world is your oyster)! However, for the first time, choose countries with less cultural differences. For example, a trip to India can be a completely positive experience during which you will learn things that you won't find anywhere else. In spite of this, for a solo traveler from Europe who is experiencing his/her first trip, this might not be the best choice as there are huge cultural differences between the two communities. As mentioned previously, pack as little as possible! Just remember that some essentials may not be available at convenience stores or you may not be able to find a 24-hour pharmacy. So, pack essentials like prescribed medicines, painkillers, diarrhea treatment, a quick-dry towel, bug spray and even a life straw for purifying contaminated water. All of these can be packed in a backpack and gives you the freedom to leave your suitcase at the hotel and move around with what you really need. Just keep in mind that you are not likely to have a vehicle taking you from one place to another like on a group tour. So, keep it as light as possible! https://surfiran.com/wp-content/uploads/2017/08/Small-Group-Tours-Iran-1.jpg 740 1201 SURFIRAN https://surfiran.com/wp-content/uploads/2019/04/logo-fr-w.png SURFIRAN2018-06-09 12:37:282018-06-09 12:37:28What’s your travel style? Are you into group tours or solo travel to Iran? Are you an introvert? 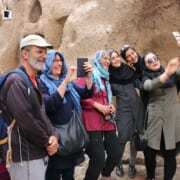 Do you think Iran group tours do not suit you? Iran Tours From Canada – Can Canadian Citizens Travel To Iran?